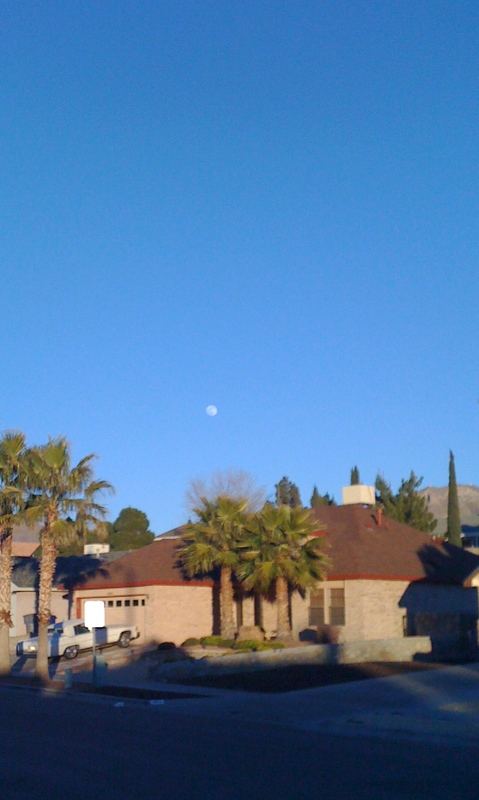 That “approaching” Full Moon in West El Paso, big image is here. 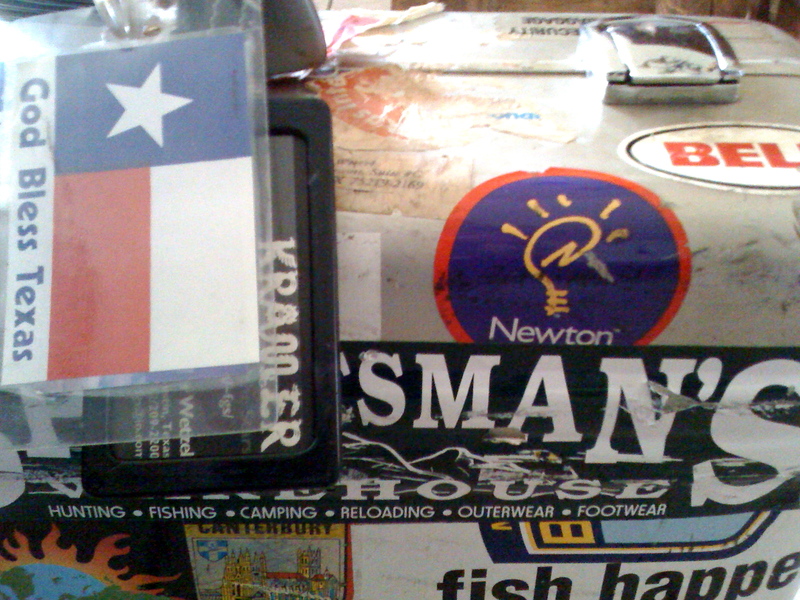 Curious image I took of my suitcase – I just liked that there was a dead-tech sticker so clearly visible: Newton. The desert at night? It’s a really magical place. Grace’s backyard? More so, as noted in the weekly video. However, that clear, cool desert mountain air? Gets cold at night. No moisture to make the day’s warmth hang on, Monday morning was the worst. A boom box drove by in the middle of the night, rattling the trailer’s windows. Before sunup, kids, on their way to school. Voices drifting in an out. Punctuated by another boom box, thumping by. The trailer was uncomfortably cold, when I woke, and I rolled over onto the electric blanket and pushed its controls up to the maximum. Worked better. Before sunrise, it looked liked the thermometer had dropped to a very breezy 25. Too cold for my tastes, at least, on a repeated level. 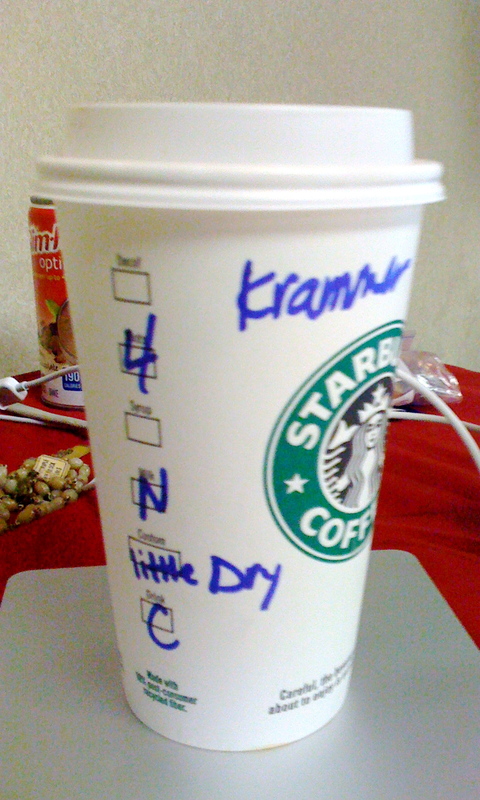 Misspelled my name. But got the rest right. Take the shortest route, the one nature planned – to speak and act in the healthiest way. Do that, and be free of pain and stress, free of all calculation and pretension. Like it says in the fine print, “Wet Fuel Cell: do not remove.” It’s visible as a warning on older Boeing 737. The flight attendant said it was a 500 series, but I thought the plane was a 300 series. I don’t see that warning much anymore, not on the newer aircraft. I think about it whenever I look at the wing of a commercial jet. A single warning label spawned a whole branch to the web site. Odd, what is a lasting impression and influence. Odd, definitely so, what brief vignette, what overheard word, what quick glance can make a lasting impression (as you say) and reverberations down the years. Sometimes there will be — at long last — an answering remark or quick take or echo that puts it to rest, sometimes not. I remember a grownup joke my mother told me when I was too young to really “get” it, a play on words. I remembered it on and off as I told puns and jokes of my own, always waiting for the right time to relay that old one of hers. Then one day, not too long ago, the perfect moment presented itself; I told the joke; got the appropriate chuckle/groan — and I haven’t thought of it since. Finis. Quietus to the bad pun. BTW, I love your fine print, in its endless changes and permutations.